Living in a coastal region comes with so much benefits. You’ll get to enjoy the cool ocean breeze, beautiful sunshine/sunset and other great weather all year round. However, staying in this area also has its downsides on metal appliances. This is due to light coat of salt carried by the ocean breeze, and when this rests on any metal appliances it causes corrosion. In places like this, the air conditioner stands a chance of getting damaged within a short period. With this said, you’ll need an AC unit that can withstand salty air for a very long time. Hence, if you’re looking for one of the best air conditioners for coastal areas that will last longer, we’re here to help. Read on as e reveal all that you need to know. 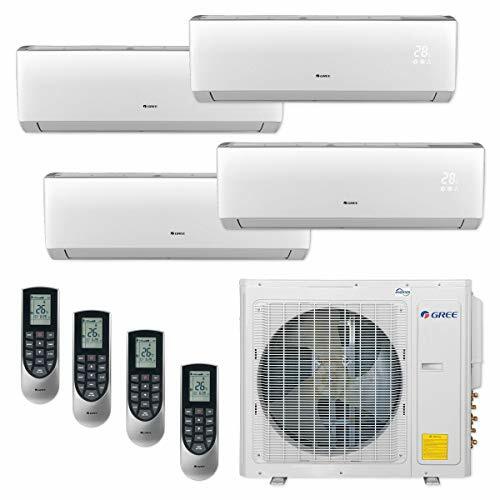 What Is Best Air Conditioner for Coastal Region? What Is The Best Type Of Unit To Buy For Coastal Areas? Can Air Conditioners Work Great in Coastal Areas? How to Know an Energy Saving Air Conditioner? Sincerely, the idea of using an air conditioner to keep your home cool in the coastal region is great. But, it is certain you don’t want to get an efficient air conditioner that will only work for few months. Oceans brings salt into the air, and this causes corrosion to metals of all kinds. Don’t forget that all air conditioning units comprises of metal components. When this salty air finds its way to the unit, it starts to erode its parts very fast, ruining down the system in the long run. The truth is that air conditioning that will have a lifetime operation of 10-15 years might end up working for only 2-5 years in coastal areas. Many might suggest you use any air conditioning system and get it replaced when it becomes extremely faulty. However, since air conditioning is pricey and costs much to maintain, this doesn’t come up to be a better solution. Some also recommend you take several safety measures, repair and maintain it regularly to keep in good shape. But as we all know, maintaining a unit could be stressful and will be costly. One of the best solutions that will make your purchase worthwhile is to get an air conditioning unit specified for coastal areas. That way you save more money on maintenance and replacements cost. 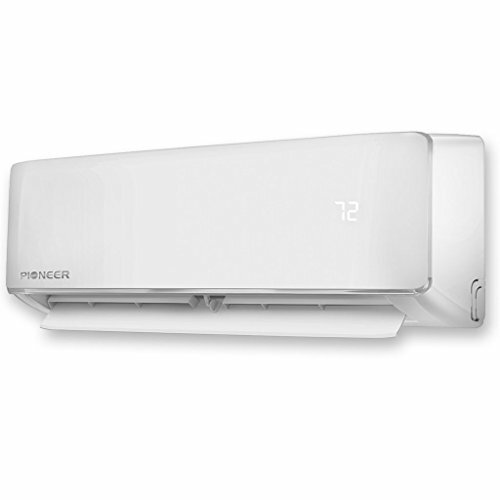 There are air-conditioners designed specifically for coastal areas. Most professionals HVAC Companies suggest that coastal homeowners should pick a salt corrosion-free unit. 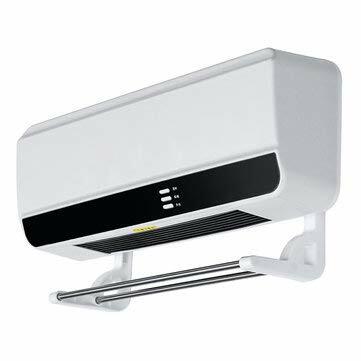 This type also comes with a coastal warranty to protect you against huge damages that could occur in the air conditioner unit after installation. You should always ask or look out for the corrosion warranties coverage before buying the unit. If you’re finding this pretty hard, you could get help from a local contractor or HVAC expert installers. Many HVAC companies have designed air conditioner units that are suitable for coastal homeowners. However, without some vital things, they might not last long in the coastal region. Let’s Look Into What Makes An Air Conditioner To be Best Suited for Coastal Climate. First, Coastal Air conditioner components are highly coated with polymer materials(Weather Shield protection). The coating material makes its parts corrosion-free. External case: They are applied corrosion resistant paint to prevent the salty air from causing damages to it. Corrosion warranty: Air conditioners used in the coastal environment should come with decent corrosion warranty. To know if your air conditioner comes with the above mentioned, you will have to read the manual thoroughly or reviews of the air conditioner. You could also get help from professionals. Buying an Air conditioner for coastal region doesn’t just end there. You also need to carry out some essential things to keep it in good shape. Proper placement of your air conditioner is one of the vital things to consider when installing an air conditioner in coastal homes. As you should know, the unit stays outside where it gets hit by oceans breeze and storm. With this said, you need to place it properly to reduce the impact on the air conditioner. If you live in an area that experience tidal flooding, then consider raising your air conditioner above the ground to prevent water from slamming into the unit. Also, placing your unit where it could get direct sunlight could even rapid the process of corrosion, thereby reducing the life span. Hence, construct a temporary open shade above the unit to minimize the impact. When it comes to using in the coastal climate, this requires more maintenance than the usual. Getting the best AC unit for the coastal region is one great step, but without proper maintenance, it might not work to its life expectancy. Hence, to keep the unit in good shape, you should call an HVAC Specialist to check it out at least thrice a year. The Technician will carry out proper maintenance and cleaning process that will help the unit last longer in ocean areas. They should also ensure to salt rinse and clean the condenser coils to remove any corrosive properties. You could also maintain the unit by spraying it with tap water on a regular basis to remove sand and salt deposit. Make sure the water gets to its sensitive areas like the fins and coils. Doing this alone will help your unit last longer. Remember to ask a professional technician to determine how often you need to carry out this process. Getting a higher capacity unit will work great to disperse cold air. But it could also affect your health if the size is way larger than your home recommended size. And using a smaller size unit for a larger size square foot room won’t work great to cool your home. Hence, to make your purchase worthwhile, you have to determine the air conditioner capacity that will help keep the room calm efficiently. You can get this by knowing the square footage of the room and BTU rating of the air conditioner. Also, consult a local contractor to help recommend the right size of air conditioners that will keep your home cool and comfortable. If you plan on staying in a particular home for several long years, then the central air unit is the best option for you. Furthermore, the central air unit can efficiently keep every single room in your home cool and comfy. The downside is the fact that they are very pricey and cost much to install and maintain. Remember to always go for Central AC unit that can resist Corrosion. However, if you live in a small apartment, you should consider getting a portable unit. Most of this unit works great to keep a room size above 400 square feet cool and comfortable. Some also have a dehumidification function to help reduce humidity in your home that way improving the indoor air quality. The exciting part is that you don’t have to worry about the ocean breeze and storm bashing into it because the entire unit stays indoors. However, you will need more of this type to keep your entire room in your home cool. Not only will you want your air conditioner to last longer, but you will also want one that can save you more on energy cost right? Hence when it comes to energy cost saving, you should have in mind the energy efficiency of the unit. The US government uses the Energy Star rating to depict energy efficient AC unit. Air conditioner with higher energy star rating works better and consumes less power, making you save more on energy cost. Also, energy efficient product works faster to keep your home cool and comfortable. For this reason, always look out this when shopping for an air conditioner. One of the reasons that could hinder your air conditioner efficiency is obstruction from objects. Keep your air conditioner at least three foot far from objects. In other words, avoid placing your unit too close to fence, wall, and shrubs, etc. If you do this, you will benefit more from your AC unit as it will work better to keep your room cool and comfy. Sometimes when your unit isn’t working efficiently, it might be that the filter has got dirty or needs replacement. 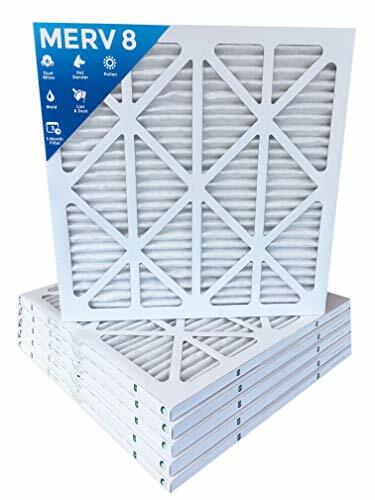 Replacing or cleaning your filter after prolonged use of your air conditioner will also help to keep it in good shape. Also, units with effective air filter work great to remove airborne pollutant including pollen, dander, and dust, etc. This means your home becomes safe for asthma and allergies sufferer. If you want to know the cooling power of a heat pump or air conditioning system, you can check its Seasonal Efficiency Ratio (SEER). SEER is the ratio of the average amount of cooling per unit of power used. According to current laws, air conditioners produced after January 1, 2015, should have at least a rating of 14 SEER on their split system heat pumps. Some pumps have scored as high as 22 SEER. However, your unit might not work properly even if it has a high SEER. This issue occurs as a result of a faulty system. You should also know that you cannot find the SEER value with the way your unit disperses air. Today, laws are guiding the production of air conditioners. Due to these rules, you can find the SEER rating on the yellow Energy Guide label on each unit. If you see a high number, it means the unit works harder and saves energy. For example, ACs with ratings between 15 and 17 are the most efficient. Apart from the SEER rating, you can detect an energy saving unit by the features below. 3. A speed blower that saves energy based on the air conditioners use. 4. A fan- only switch. With this device, you can switch of the cooing bit allow the fan to spread air. This ensures a better and cheaper way to cool your living space. 5. An automatic delay fan switch. This part of your unit allows the fan to use the remaining cold air after the compressor is off. 6. An indicator light on your filter that tells you when you need to change your filter. This function prevents your unit from future damage. AC Refrigerants used in some air conditioners can harm you and your environment. However, the use of these chemicals in cooling systems has been reduced. Thus it’s important; you buy the latest products which use safer refrigerants. Current models are better options because older units might have leaks. These leaks allow the toxic gases to escape. You can also have a broken system during repairs. Before you buy a central air conditioning unit, you should read its warranty. This is because warranties can help your ACs last longer. You will find various types of warranties. Some units have a single set of terms. On the other hand, other units have multiple terms for different parts. For example, Whirlpool covers most parts of its AC unit except the filter. All these components come with a five-year warranty. On the other hand, Carrier offers you warranties of up to five years on all parts of the unit. Also, some companies offer “Limited Lifetime Warranties.” These type of terms last for as long as you own the building. While the brands mentioned above provide free labor under their warranties, some companies only offer parts. Thus ensure you read and understand the warranty that comes with your product. Do not skip any line in the manual and if you have any questions, feel free to ask the sales rep or store manager. You should also know that your warranty becomes invalid when an unofficial repairer works on the AC. Besides you can lose the warranty if you damage your AC by cleaning or poor care. After carrying out thorough research, we have come up with a highly efficient air conditioner that can resist corrosion and last longer when used in coastal areas. This air conditioner is no other Bryant Legacy – 2.5 Ton 13 SEER Residential Air Conditioner Condensing Unit. The Bryant® Heating and cooling system have great features that will make it last longer in coastal conditions. 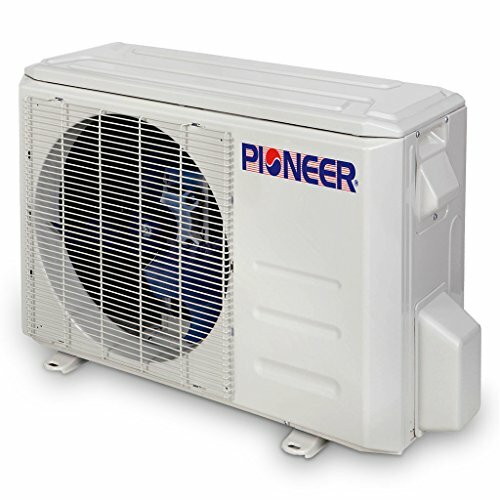 Based on the tested combination this two-stage air conditioner and heat pump have an efficiency rating of 10.8 -110 SEER. This means it has the power to eliminate any hot spots and ensure optimum cooling comfort in your home. Also, the unit uses Microtube technology to improve the indoor air quality of your home. Known for its reliability, the unit has a thermostat control to help regulate the temperature level of your home. If you’re looking for an energy efficient central AC unit, this is the perfect choice for you. This Energy certified air conditioner will help you save more energy cost. With this air conditioner, you will get to sleep peacefully without getting disturbed as its noise level is as Low as 75 dBA. For more added sound advantage, it has a sound blanket comfort system support. You will also be reducing eco-hazards as it features an environmentally refrigerant. This feature makes it eco-friendly to the earth ozone layers. When it comes to durability, this air conditioner isn’t left out. This Coastguard protected Ac unit has a sturdy metal sheet and dense wire coil guard that can last longer in coastal condition. Its outer coverage is also completely painted to protect it against corrosion. Finally, we have come to the end of it. 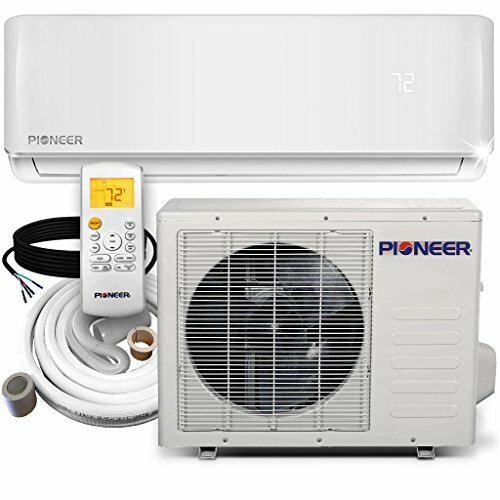 With this vital information, you will find it easier to buy a better unit that will last longer and provide optimum cooling comfort all year round. But to ease your stress you can shop for the unit we recommended for coastal regions.